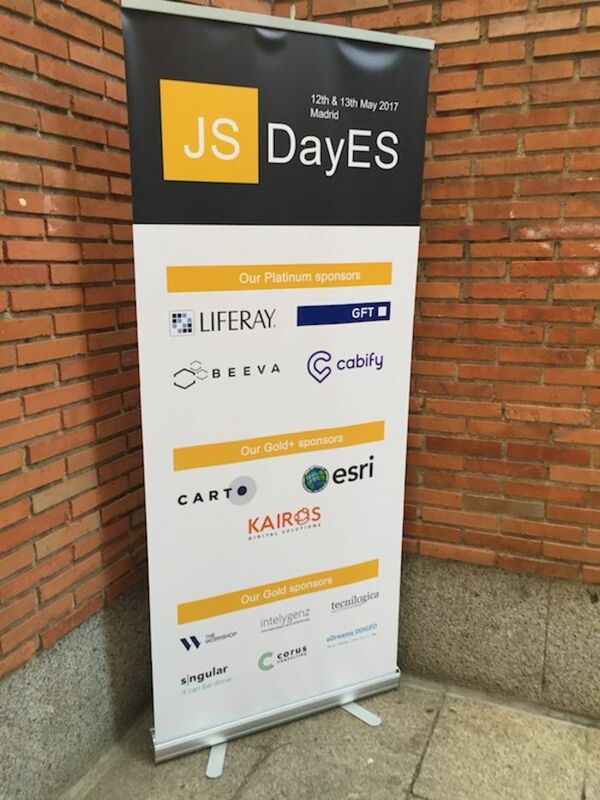 I just attended JSDayES 2017 in Madrid, where I gave my talk about images and web performance. It feels great to be back to the same venue where I gave my first talk 4 years ago in SpainJS with Tomás Pérez, who also made it to the event. I have caught up with lots of colleagues I used to work with in Tuenti, and lots of JS devs from the Spanish community. There is a lot going on in Madrid and the rest of Spain, with very interesting companies building awesome products. 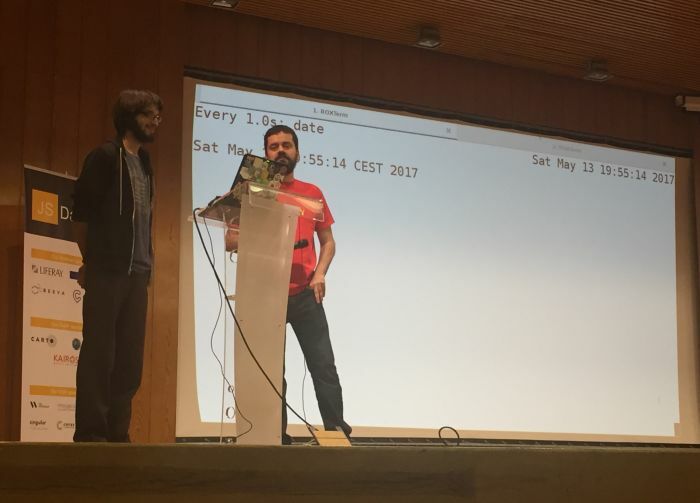 There were 500+ attendees and the event had 3 tracks with 26 talks, shorter and longer ones, and workshops. It was difficult to attend the talks and workshops I wanted to, not only because of time constraints but also space. I’m looking forward to watching some of the talks on video when they upload the recordings, and update this post with the ones I find most interesting. The event showcased the local talent, with a track dedicated to “rising stars” for speakers with less experience, which I think was a great idea. There was an international one with English-speaking talks, and finally the main track with some talks in English, some others in Spanish. Alex (@pinchito) introducing James Halliday’s (@substack) talk. Being a Spaniard myself it was fine, but I would like to see even more talks in English, making the event more internationally renowned. This would not only help the event, but also the speakers which could have a higher impact by making their talks more accessible to the rest of the world. This talk is similar to the one I gave at CSSConf AU and RenderConf Oxford. I decided to give slides.com a try and moved my presentation to their platform. I also made some changes in the content. I tried to focus more on user’s perceived performance and remove other parts to not make it that heavy. I also revisited the examples and used JSDayES’s site to illustrate a few of those. I think it went pretty well and got positive feedback both online and there in person.